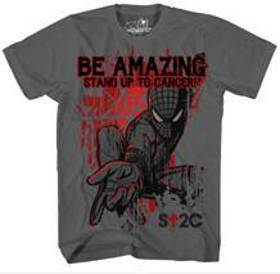 Stand Up To Cancer (SU2C) is proud to collaborate with the upcoming Columbia Pictures film, The Amazing Spider-Man™, for a line of special co-branded t-shirts. 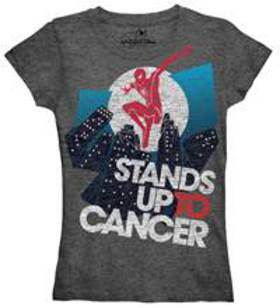 The full line of tees, in youth’s, men’s and women’s sizes, will be available for purchase online at store.standup2cancer.org/shop with proceeds benefiting SU2C. 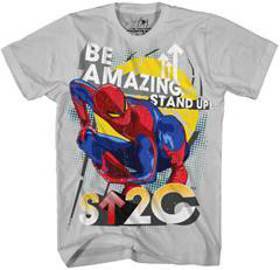 Garfield made a big stir at the 2011 Comic-Con convention when he wore a SU2C T-shirt while addressing a large group of Spider-Man fans. Pictures of Garfield went “viral” and prompted T-shirts sales and high traffic back to the SU2C site. Laura Ziskin, the legendary film producer who executive produced the 2008 and 2010 Stand Up To Cancer telecasts, also produced three Spider-Man features, the last of which became the highest-grossing film in Sony’s history. At the time of her death in June 2011, she was at work on “The Amazing Spider-Man”. 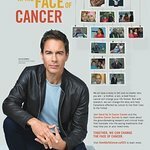 As one of the co-founders of SU2C who had cancer, she helped shape the movement, ensuring that the patient’s perspective was always front and center.